"Feel the breeze of summer. Dive into the ocean, float & follow your current. All around you life is happening in vibrant & vivid colors. Listen to the voices of the ocean - they are whispering a tale to you." 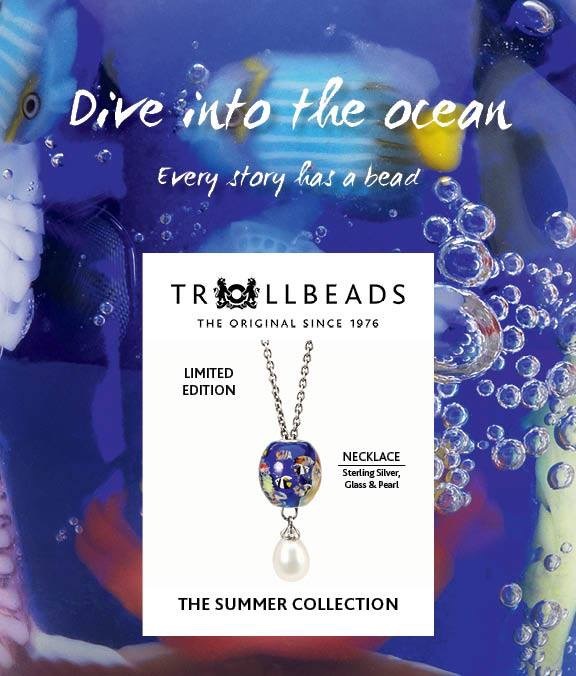 We are happy to report that we have renewed our Trollbeads contract for another year because of ALL of you that support this fabulous Jewelry line by buying through us. Your support made it clear you did not want us to give up the line & we are so grateful as we have loved Trollbeads for over a decade. Please contact us if you need us to order anything you do not see on our Ecom ( and FREE SHIPPING) sight.